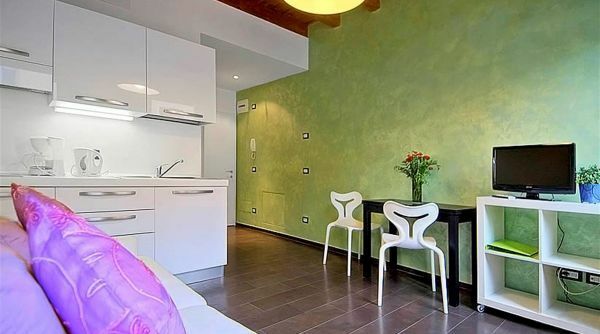 Modern and comfortable suite for rent in Florence. 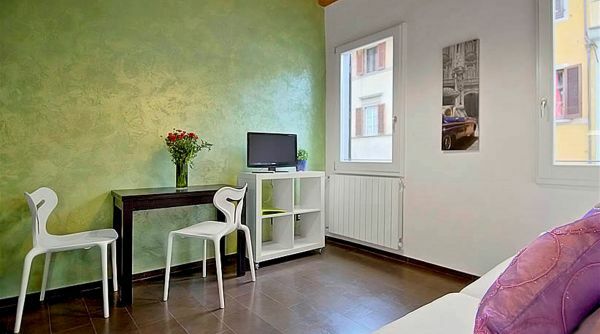 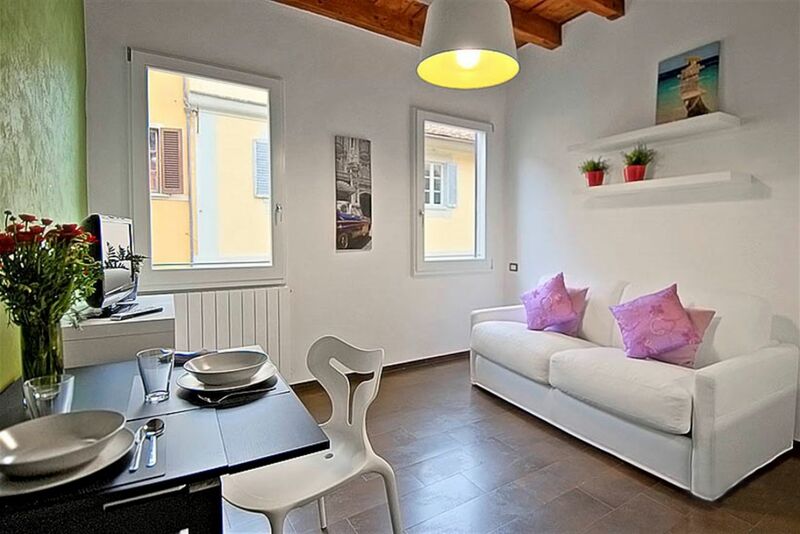 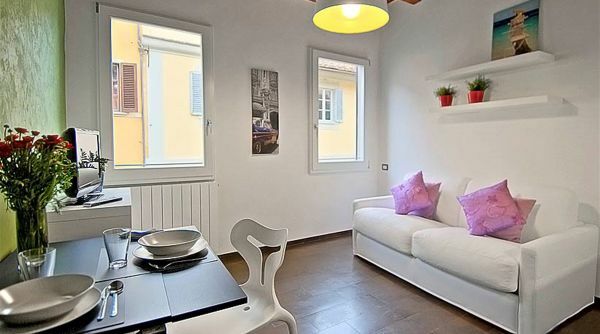 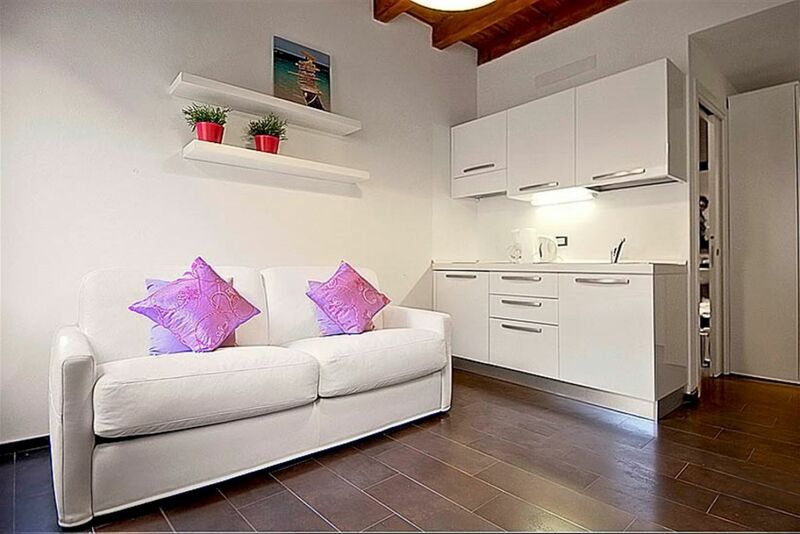 A stunning, modern studio suite: what a charming way to experience Florence! 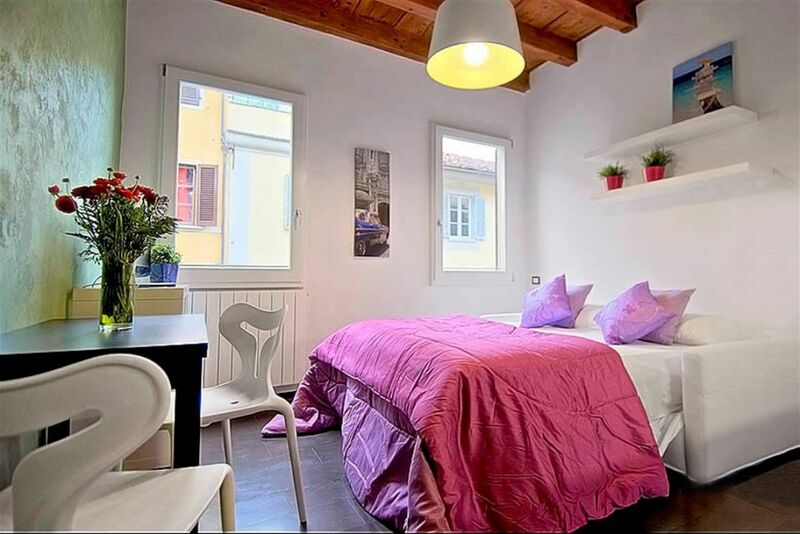 Located just a few minutes away from all of Florence's monuments and museums! 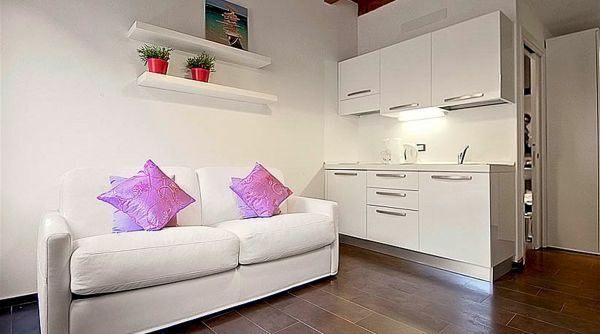 This newly renovated apartment is strategically located in the beautiful district of San Lorenzo, in the heart of the historic center, on the 3rd floor of an historic building in the lovely Via San Gallo. 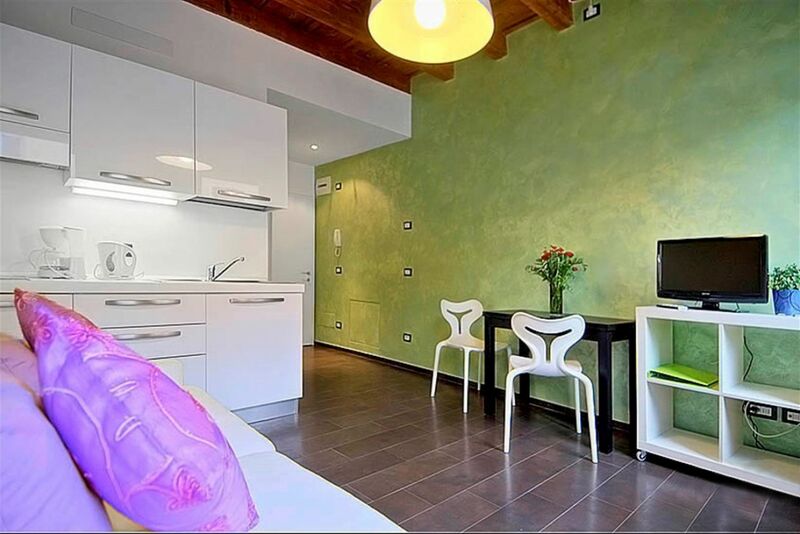 The whole place has just been completely restored and redecorated combining Tuscan charme and modern amenities and comfort. 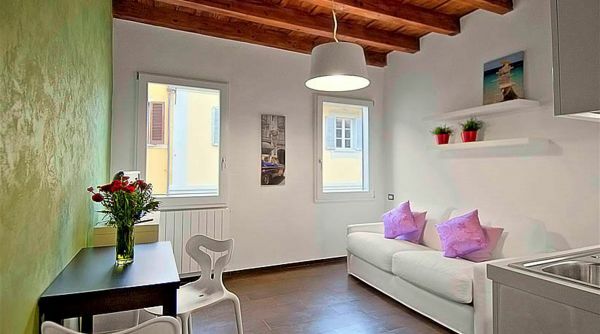 The high ceiling with exposed wooden beams create a shooting and airy feel, while the light color palette and the modern style chosen for the furniture add a twist of contemporary. 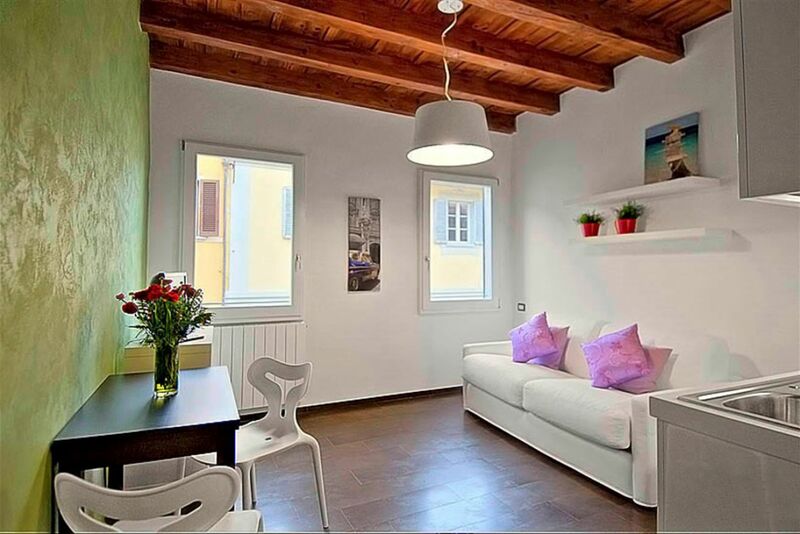 This modern space, flooded by natural light thanks to the two windows, is equipped with a comfortable sofa bed, library, flat screen TV and a dining table with two chairs. 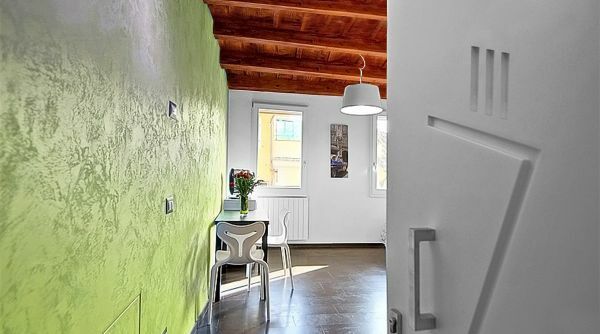 The brand new kitchen is fully equipped with anything you may need to cook your favorite Italian dishes at home using local products bought at the nearby San Lorenzo market. 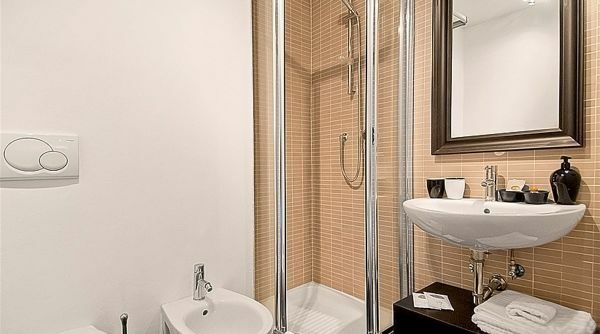 A modern bathroom with walk in shower completes the property. 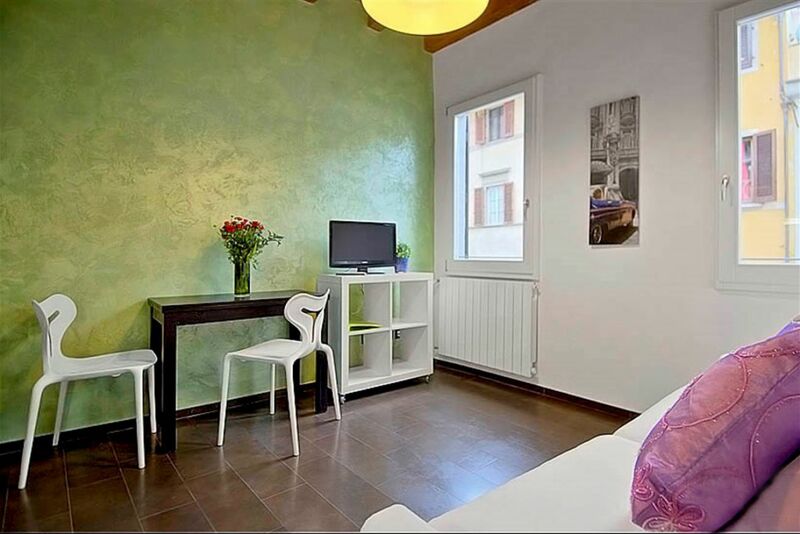 The apartment is equipped with central heating and cable internet. 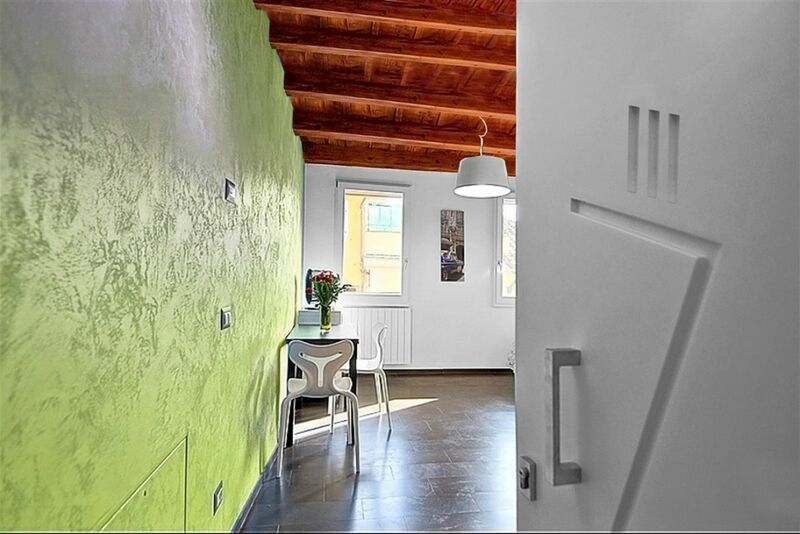 For larger parties, please note that six more Suites (different in size) are located in the very same building. 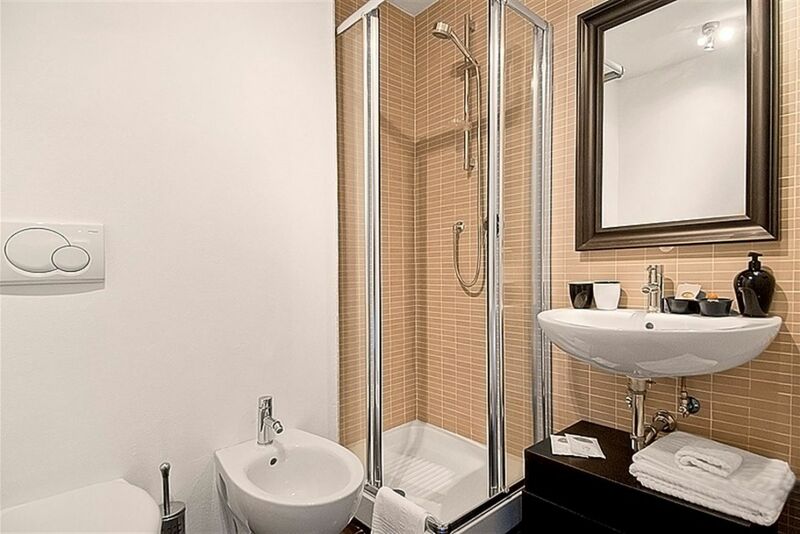 Inquire with our sales team for information about availability and conditions.